The first edition of Warhammer was announced under the tagline of “Let’s smash skulls !”, well as we all know, Skullz have somewhat taken over all the Warhammer armies and derivatives. Digging out some scenery, I found some Skullz related scenery. 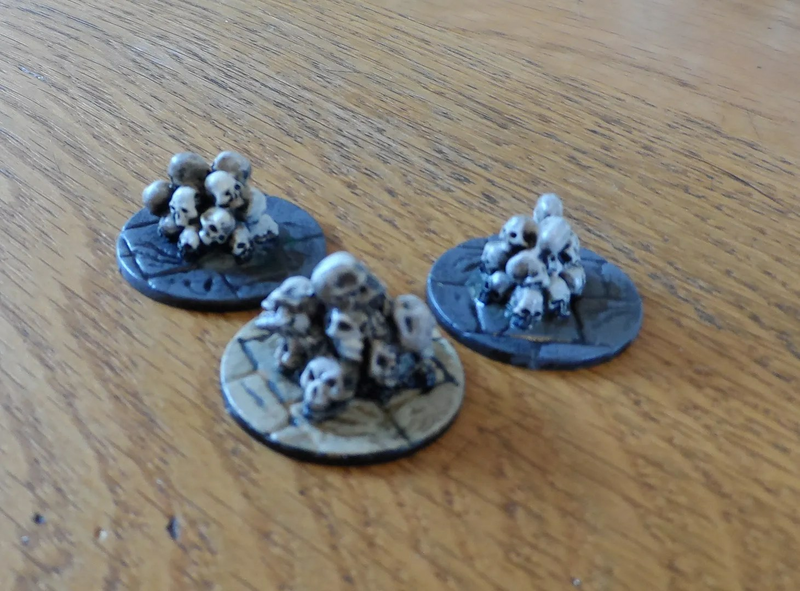 Three small piles of skulls, again on the Render bases. Two larger charnel piles of skulls and bones. And the final piece, which is made up of a pillar of skulls, with a gargoyle perched atop. 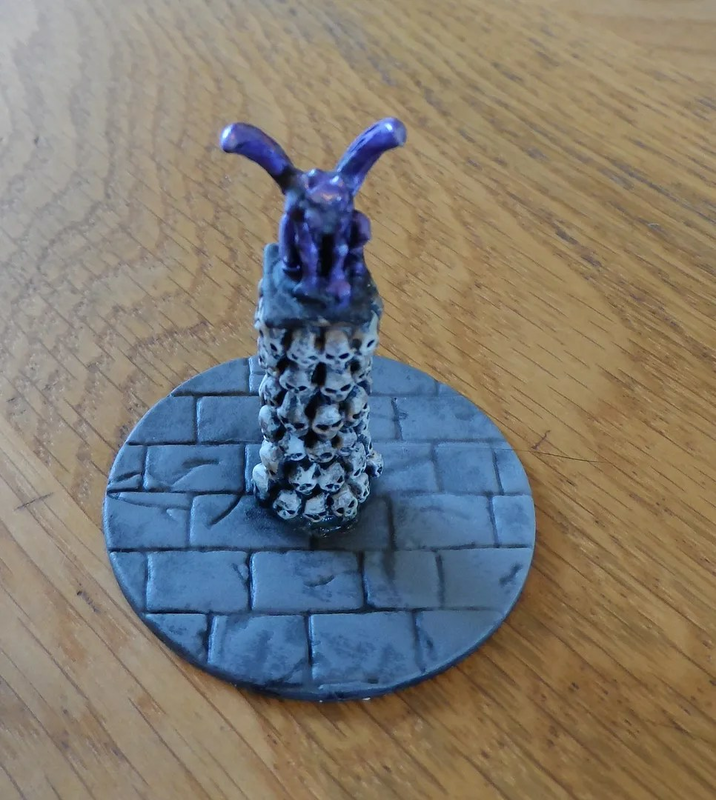 The picture does not do the paint job of the gargoyle justice – its a metallic purple that I painted in order to make it stand out in amongst all the dull greys and browns of most of the rest of the Mordheim and Frostgrave terrain. I had to give the purple metallic pot a good shake, it was one of the original Citadel mettalics I bought back in c1991, but the more colour the better in some of these scatter scenery pieces. 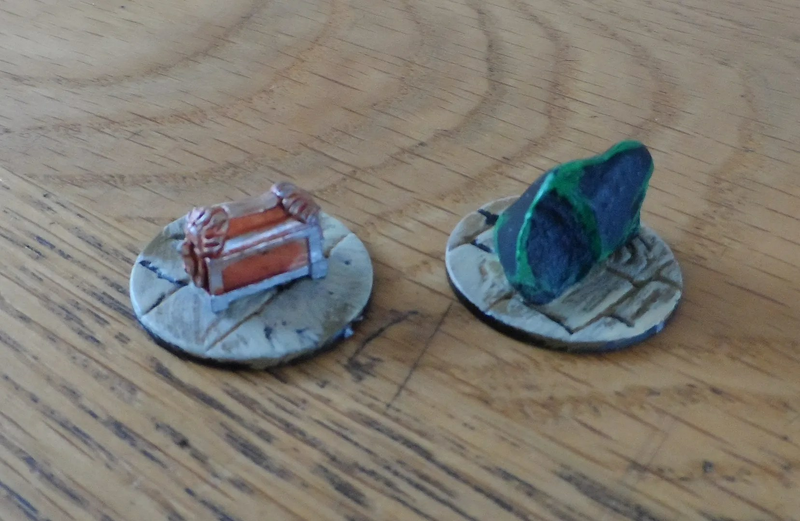 Obviously I have also have ideas for rules and scenarios as to how these items are used. OUR BIGGEST EVER SALE IS NOW ON! This is because Andy is on his own these days and needs to finish sculpting the last few Kickstarter figures. The only way to get that done is to stop shipping the regular orders for the next couple of weeks, so to compensate for that, we are offering our biggest Sale ever – up to 25% off metal figures and even up to 10% off some of the resin ones, too! Offers will end midnight 29th July UK Time, and orders will begin to ship in the week of the 1st of August. For those not aware of Bagpuss, its a 1970’s children’s programme, and its my favourite. Bagpuss is a magical cat. When he wakes up, all his friends come to life. He can also make his thoughts visible in bubbles above his head. Despite this, he doesn’t play a major part in most of the stories, instead being content to lie on his rug and listen to the songs the others sing as they identify and repair the thing. All in all, he’s just an old, saggy cloth cat. So here they are including a Foundry one (open lid). I went for gaudy colour schemes, because SHINEY STUFF lies within. 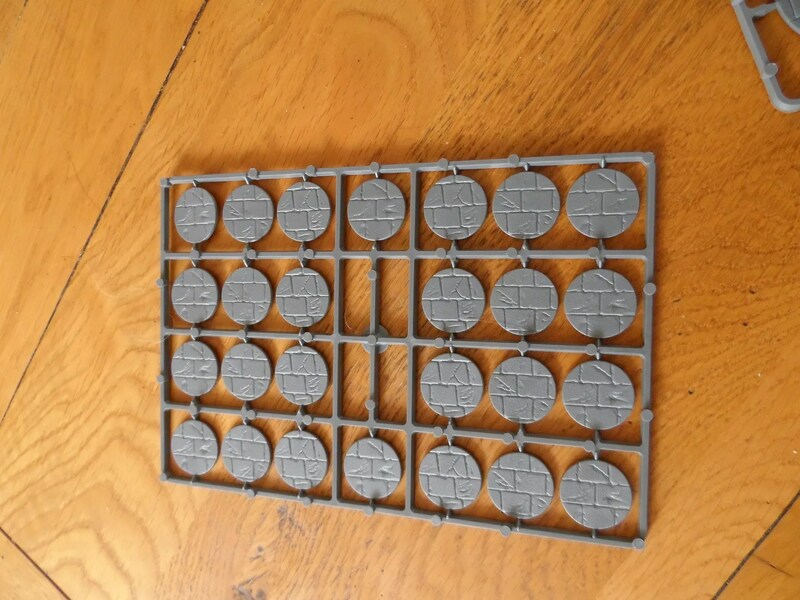 These are suitable for Frostgarve, and many other skirmish games. Most are long OOP. 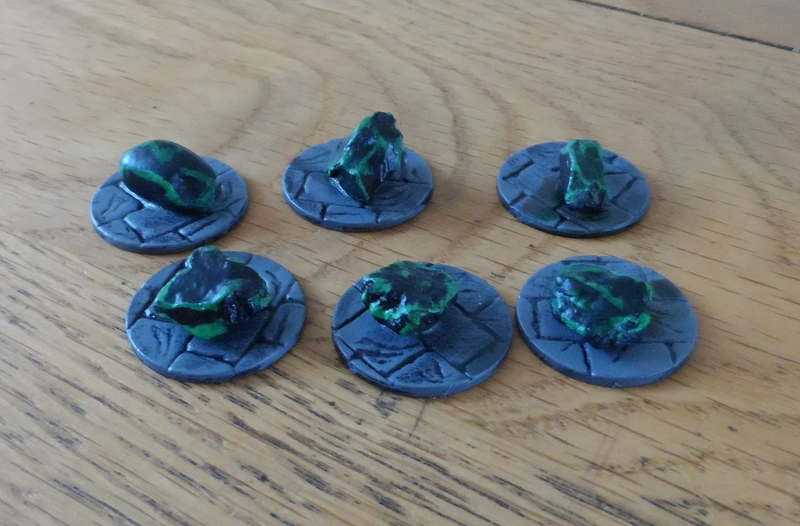 The bases are by Renedra. They arrived in double quick time, and even better I received a refund, as I’d placed a second order for slightly large ones minutes later in one of those idiot moments. Then with a gleam in my eye (or was it just wind ? ), my brain cell had another idea ! 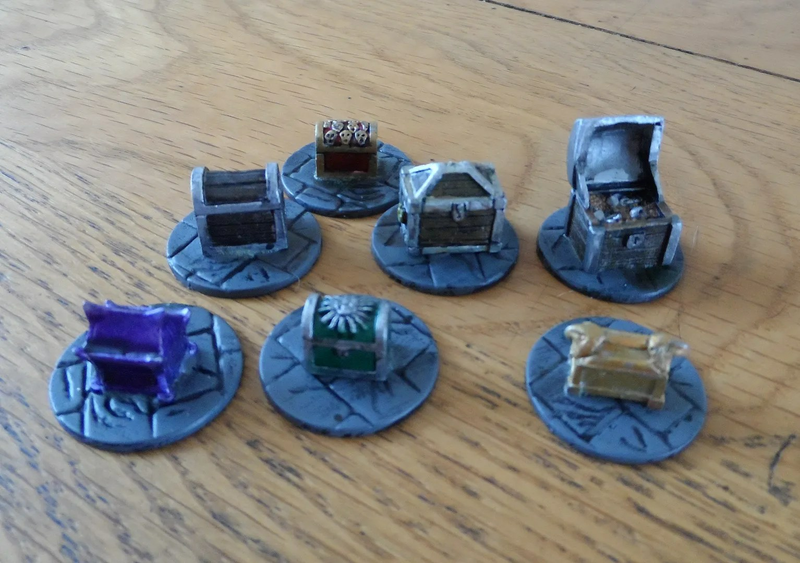 My Mordheim Wyrdstone tokens, the old precept card ones from the original box set (now a venerable 16 years old) were looking a bit scruffy and tired. 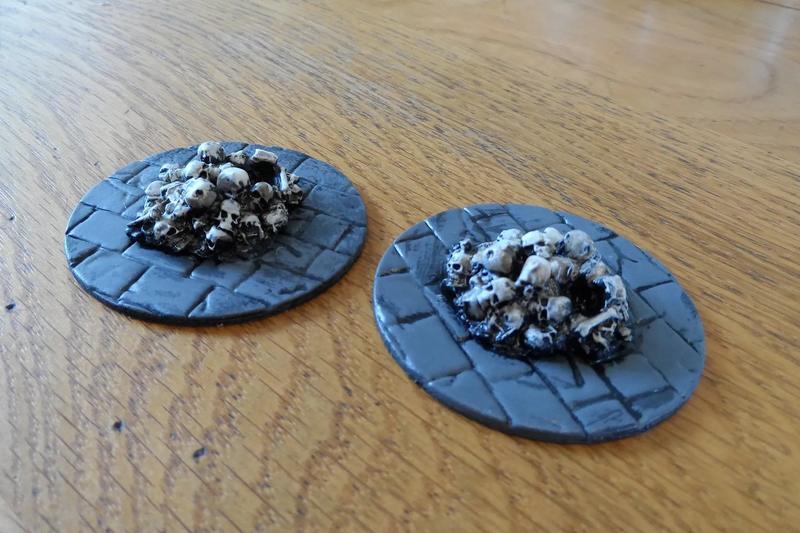 Yeah, the highly onerous task of spraying some gravel pieces picked from the driveway, sticking them to some bases and painting. A bright green highlighting the edges, and then giving the entire pebble a green wash. The only downside is that we won’t so easily be able to do the random placement we occasionally did by chucking the card piece onto the board.